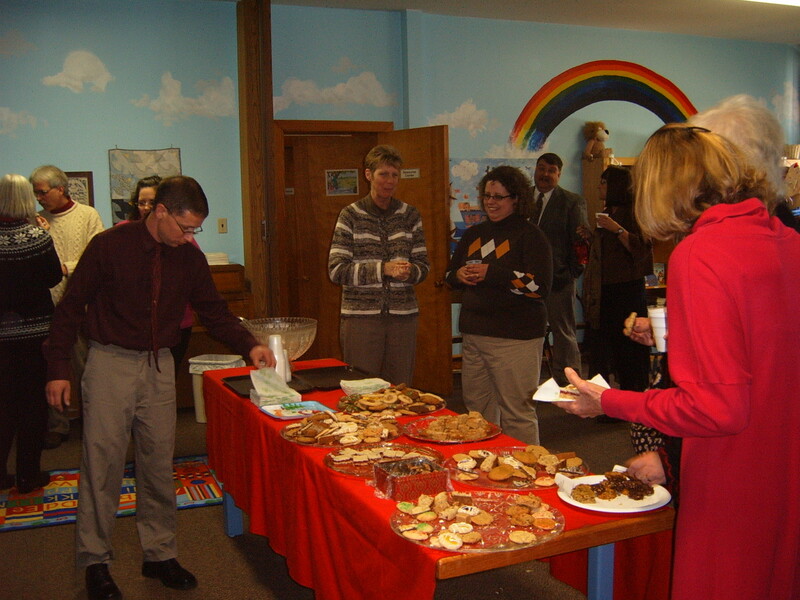 On Sunday December 19th, we held our traditional cookie social in the Sunday School room. 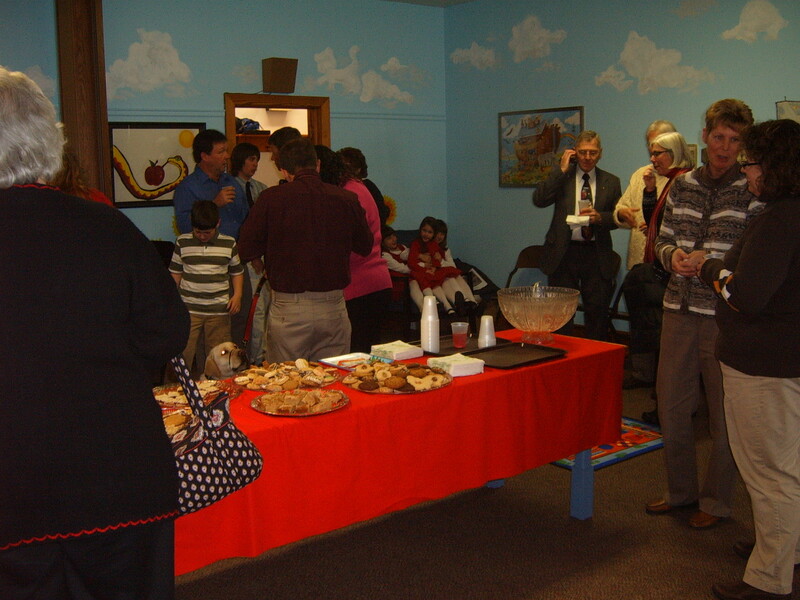 All ages enjoyed the gathering and we are reminded once again just how blessed we are at Zion. We have a terrific fellowship. Thanks to Donna Miller and her committee for setting up and organizing the social. 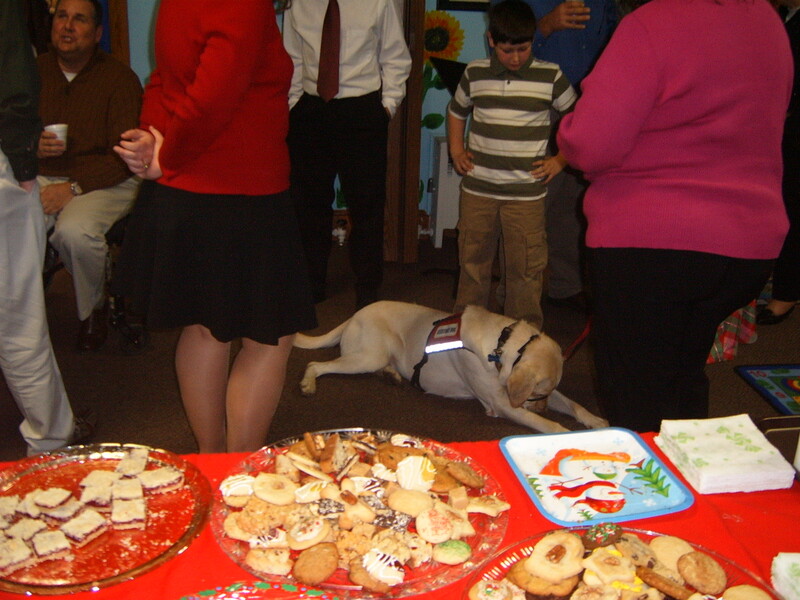 We had a special visitor…Scooter the helping dog…visiting with his master Doug Rink. I think Scooter had a cookie or two!